I had the great pleasure of visiting Morris and Jacques for an evening of fun, great company and, of course, a wonderful array of wine. 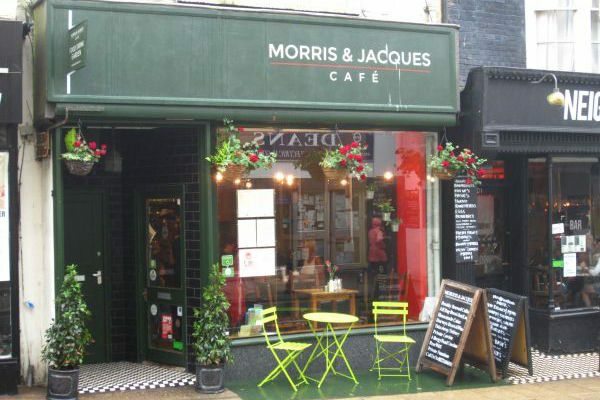 Morris and Jacques is located in Kemptown, not too far away from the Old Steine. A great little coffee shop to treat the locals and well worth a weekend visit wherever you live. Besides the great coffee, the chef serves up a fantastic selection of British and Mediterranean style cafe food. The setting is great, the menus are tasty and the staff are the reason to come back again and again. You may be lucky enough to be greeted by Rachel, the owner, whose warm and friendly reception will make you feel right at home. If not Rachel you will have a great time with waitress Karen, who is guaranteed to put a smile on your face. 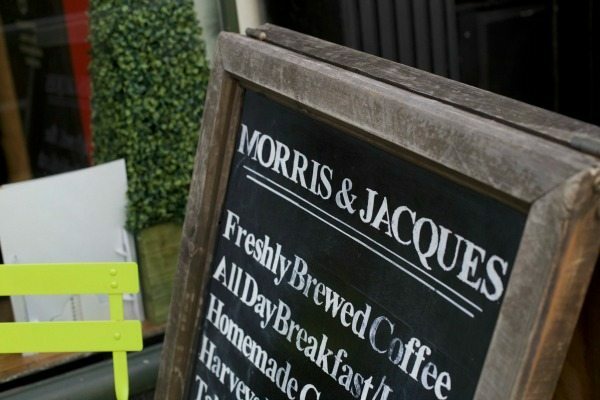 Join the cafe for one of their renowned events and you can spoil yourself with a little bit of everything that makes Morris and Jacques your new local. 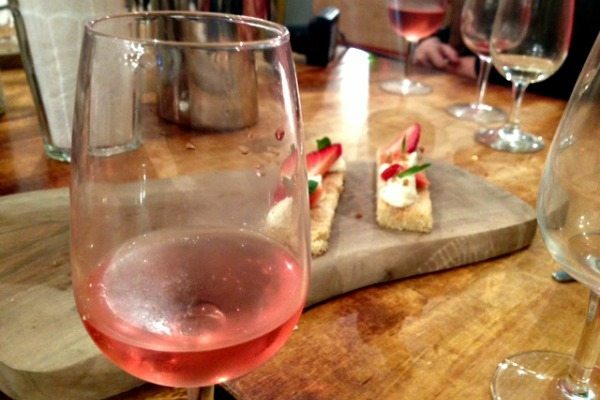 The evenings event was to be a wine tasting; though I love my wine I was unsure if I was going to be out of my depth with true wine enthusiasts. Thankfully, I did not feel that at any point, being surrounded by good company and a relaxed environment. On arrival, apart from a great welcome from the staff, I was met by Andy, the host for the evening. Twenty six years in the wine trade and his passion beams through, Andy is funny engaging and almost hypnotic. We have a little glass of bubbly on arrival and take our seats around the tables. We were served a mackerel pate, with crisp toast and rocket. 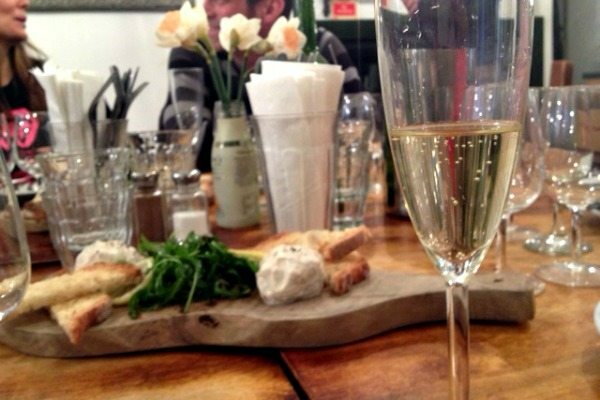 The pate was smooth, seasoned perfectly and compliments the bubbly a treat. I was very pleased to hear this is to be added to the menu as the chef is exploring new recipes. Andy the host talked us through the wine; this was not a sip and spit event, this was an education in wonderful and affordable wines that we can all enjoy. Great food, wine and quickly engrossed, the evening started off better than I could have imagined. 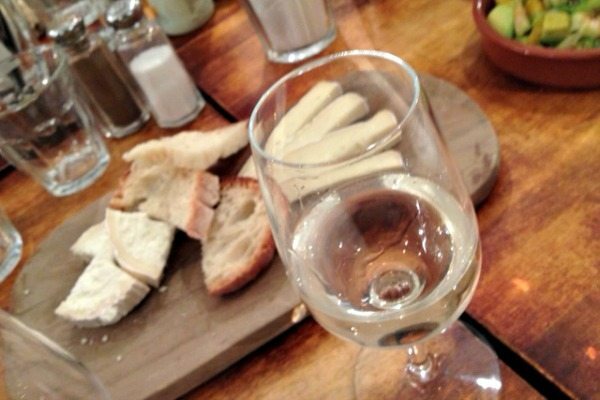 The first white wine was served with a selection of cheeses, fresh bread and a vibrant prawn and mango salad. 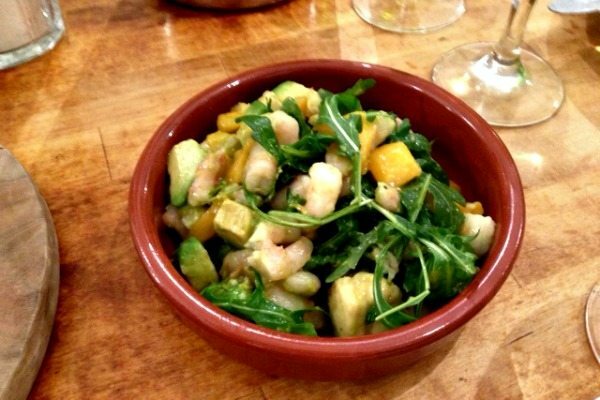 The salad, against a sip of the delicate wine was wonderful; a punch of juice, the freshness of the prawns really drew the full flavour from the wine. To my enjoyment, tasting the wine after the selection of cheese was a whole new experience. When I spoke with Rachel the owner, I found out that the menu had been specially paired with the wines; this was done excellently as every flavour had the perfect balance. Andy talked us through the vineyards and valleys as we tried another white wine, everyone was allowed to speak and ask questions, it had that feeling of friends in a pub and was informal and relaxed. Though I preferred the previous white wine the second did taste rather more-ish with a piece of goats cheese. We then moved on to the red wine which, I must say, I had been looking forward to as red wine is definitely my preferred option. 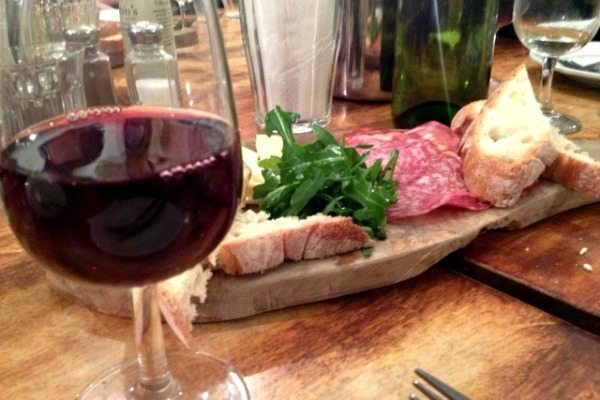 Andy engaged us once more whilst being treated by a board of cured meats and hard cheese. 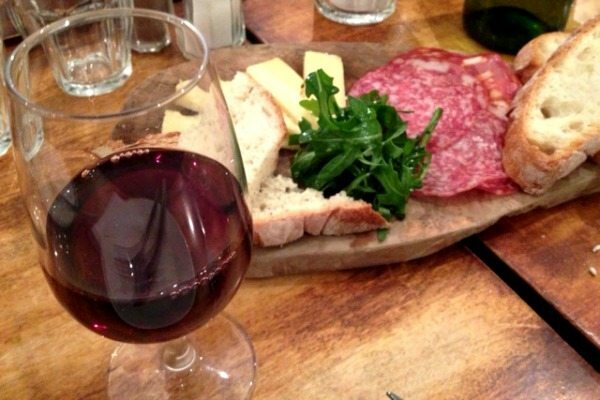 This was washed down with a mouthful of the full bodied red, the peppery rocket leaves enhanced the flavour of the red, tasting like an almost different wine with the taste of the cheese compared to a bite of the ham. I found this amazing and really makes me want to get away from just buying what is on offer at the supermarket. 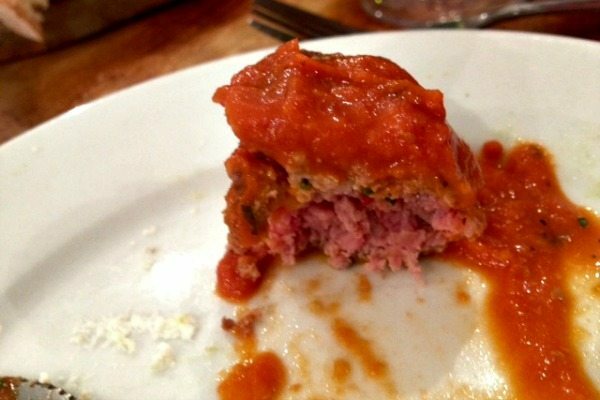 With the final red was served with a meatball in a rich tomato sauce. The pink in the middle meatball melted in the mouth and was perfectly cooked and seasoned. My hat goes off to the chef, not only did they delivered great food but the way the dishes worked with the wine was so delicious. The sauce was a real winner for me, rich and flavoursome without overpowering the wine or meatball. As the evening drew to a close we were served a final wine and I was glad to hear that this was a rose wine and not a dessert wine which I find too sweet. Though normally a rose wine would not be my first choice, this was light and went down so easily with the shortbread biscuits, strawberries and cream that ended the fabulous selection of food and wine. The shortbread biscuit was brilliant, one of the best I’ve had, though I daren’t tell my girlfriends grandmother that! Every person at the cafe was enjoying themselves; there was not a full glass on the table and there was a real buzz in the room. Morris and Jacques offered a great evening out, a wonderful host in Andy and a great selection of wine. What they have secretly achieved is showing off their wonderful chef, fantastic locally sourced produce, great atmosphere and superb staff. 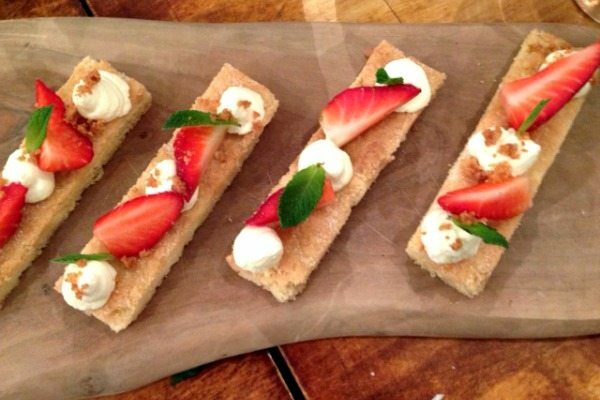 If you want an evening of fun, food and drink (lets be honest who doesnt) then check out the events page on the Morris and Jacques website, I know I will be attending again.